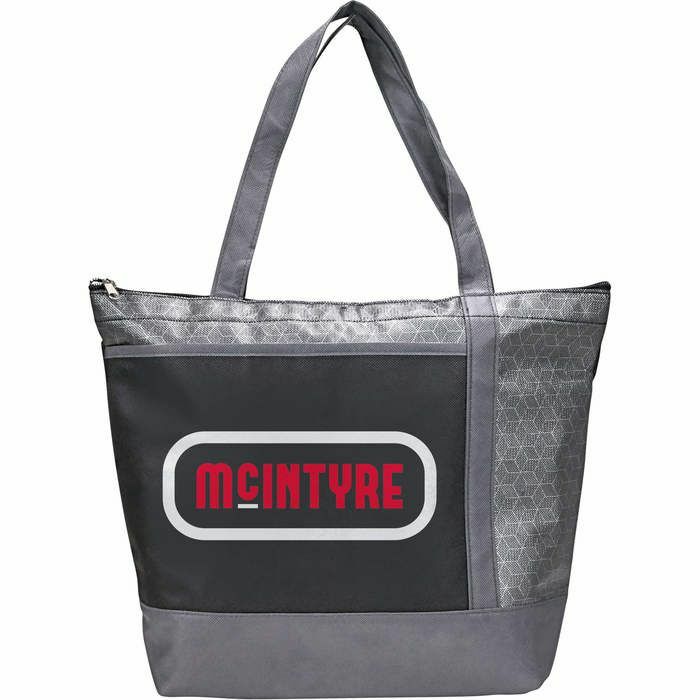 The Chrome Non-Woven 18 Can Cooler is foil lined and features a large zippered main compartment as well as a front slash pocket. This cooler can hold up to 18 cans and is made of 80g Non-Woven. Imprint Area Centered on pocket 5.00" H x 8.00" W.